Oysters. There are a few things that make communities along the Gulf Coast truly unique and vibrant places to live… not least among which is the beauty of the environment all around, surrounding residents and visitors with salty vistas and an abundance of tropical foliage. It’s no surprise that the fresh coastal vibe even shines through in our favorite local cuisines… shrimp, crabs and of course… one of the most celebrated of all… oysters. If you haven’t noticed by now, folks along the Gulf Coast really like their oysters anyway they can get ‘em: raw, Bienville, Rockefeller, Cajun… even repurposed as art or jewelry. The oyster is a versatile and amazing creature and often even seen as a symbol of the region. Though (as with many things in this day and age) there has been a definite decline in the gulf coast oyster population which is why the Alabama Coastal Foundation (ACF) has recently implemented a new initiative. According to the ACF Executive Director Mark Berte, the Alabama Oyster Shell Recycling Program is an idea that has been circulating the region for almost a decade, but it’s taken the recent support of some local restaurant owners and a two-year grant from the National Fish and Wildlife Fund to really turn it into a reality. The mission of the program is to collect the shell remnants from area restaurants and return them to the gulf coast to help replenish the vastly diminished local oyster beds, encouraging the repopulation of the species in our waters. But the benefits don’t stop at simply making more oysters… these amazing sea creatures also "provide habitats for fish, shrimp and crabs, they prevent shoreline erosion and clean the waters by filtering out silt, sediment and excess nutrients,” Berte explains. 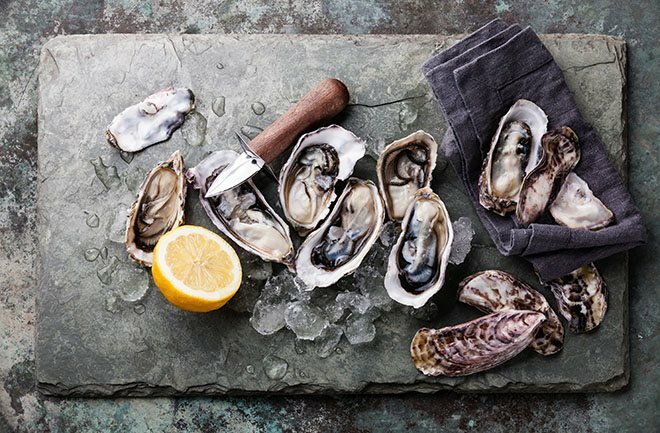 According to experts, oyster shells can grow more than a dozen adult oysters on just a single shell and each adult oyster can filter up to 15 gallons of water a day. That’s a pretty impressive day’s work for a little bi-valve! According to the Alabama Oyster Shell Recycling Program’s FAQs, here’s how the whole thing works: the ACF collects oyster shells from restaurants that currently throw them away and then put that important natural resource back into the water so they can help foster reef development and help new oysters grow. Once the shells are collected, they will be stored outside for about 6 months. From there the Alabama Department of Conservation and Natural Resources will then load them on to barges and put the shells back into designated restoration areas. With currently 112 bins in circulation at 16 different restaurants in Mobile and Baldwin counties, ACF plans to begin the second phase of the program and will be looking to add restaurants in Gulf Shores and Orange Beach. Over the summer, they will seek to continue expanding to other interested restaurants all over coastal Alabama. The grant will cover the first two years of funding and then they hope the project will be self-sustaining after that point. The program has had such success launching this initiative so far that ACF Executive Director Berte is projecting that an astonishing 2.7 million oyster shells will be collected by year’s end, which will translate into roughly 7 whole acres of restored oyster reefs. If, like most of us here on the Gulf Coast, you like oysters… join the effort to sustain our wonderful ecosystem (even if you’re just visitin’): encourage your local seafood restaurants to participate and keep an eye out for other ways you can get involved!